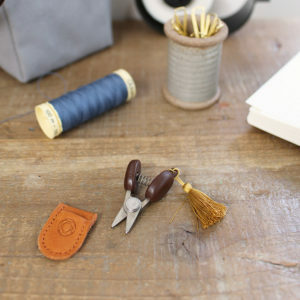 This pair of Embroidery Scissors has a delicate motif on the handles. 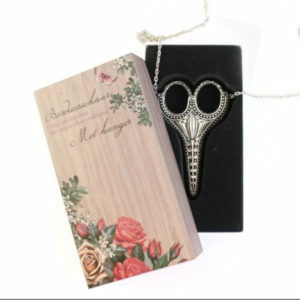 The scissors are silver-plated and have a firm and satisfactory ‘snip’. 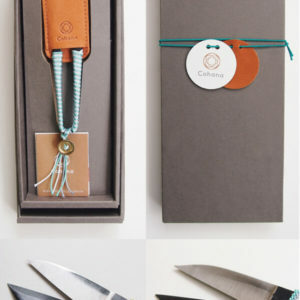 The scissors measure 11cm (4.3in) in length. 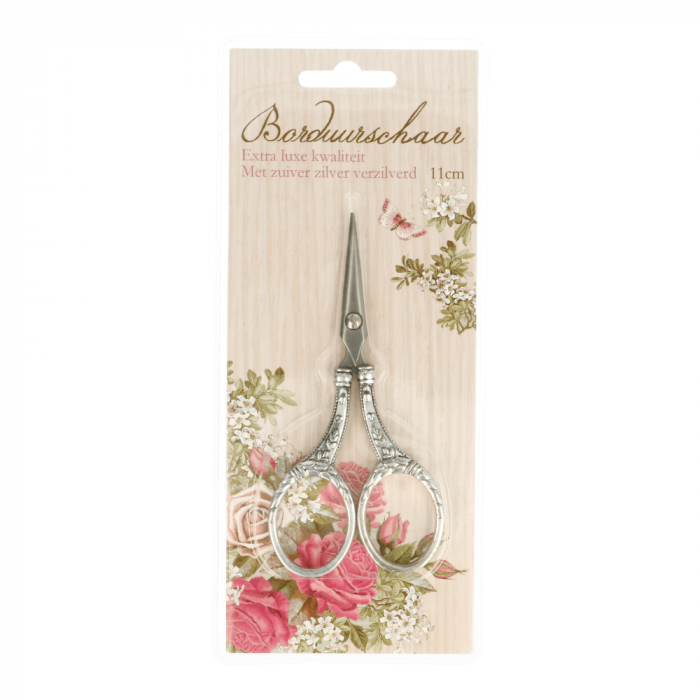 These scissors are also included in the Simy’s Silver Plated Embroidery set. From personal experience we can say that the silver on this scissors hasn’t rubbed off after more than 2 years of intensive use. It’s still as sharp and snippy as ever!